The decision to name the team the London Spitfire was a tribute to the few people who flew the Supermarine Spitfire for the country during the 2nd world war, as it was the aircraft of choice for the RAF. This also links in to Blizzards own homage with one of their main champions being an ex RAF pilot turned Overwatch member Lena “Tracer” Oxton, who’s been used as the London Spitfires team champion. The Spitfire have three colours that make up their team identity. Air Force Blue continues the previously mentioned homage to the RAF, a light blue I like to call Cloud 9 Blue as this shows the link between the esport giant and the London Spitfire and finally orange as it’s a distinct enough colour to separate the blues. The logo shows the Spitfire that the team is named after in Air Force Blue and its a very similar in style to ones used by professional football (soccer) teams, which is the biggest played and supported sport in the United Kingdom. Jack and Cloud 9 have a short but successful history within the esport scene, one that has seen them become one of North America’s powerhouse teams. Cloud 9 was originally formed after Jack bought the League of Legends roster of Quantic Gaming, managing to turn them from challenger team to winners of the League Championship Series in their first year in 2013. When Cloud 9 purchased the London spot Jack originally wanted the team to be 50% British, when this wasn’t possible he and Beoum-Jun “Bishop” Lee the head coach for the Spitfire, went straight for two of the best rosters within the Overwatch scene, purchasing the roster Kongdoo Panthera who were Apex season three runners up and Apex Season four champions GC Busan. From here the two teams combined to created the London Spitfire. In the early stages of Overwatch, Bishop was a support player for Kongdoo Panthera playing along side Rascal in Apex season one, before he transitioned to head coach for Cloud 9 in preparation for OWL. Now he has the players that he feels suit his system, Bishop has got the chance to bring the Korean style of play to the west with the Spitfire, that he wasn’t able to do with Cloud 9’s original rosters. In an interview I had with Bishop here, Bishop shows that he’s determined to prove people wrong and has a solid plan and support staff to do so. 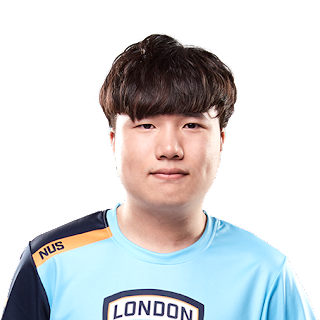 Jeong-Min "Jfeel" Kim is an ex Heroes of The Storm professional who has experience with both teams that make up the London Spitfire. Jfeel started his coaching career in Apex Season two as a coach for GC Busan, before he joined Kongdoo Uncia and later Kongdoo Panthera in Apex season three where Kongdoo Panthera became runners up. Jfeel has adapted well in coming over from HoTS and having worked with both teams, has a good understanding of how the two will play. Out of all the coaches within the Overwatch scene, the story of how Chang-Geun "Changgoon" Park became a coach is one of the more interesting that you can find. You see Changgoon wasn't even originally apart of GC Busan's coaching staff, he was the team manager who would deal with more of the business side of the team than the coaching side. When Jfeel left to join Kongdoo as their coach, GC Busan were struggling to find a replacement. Changgoon stepped in and brought a meticulous scouting regime and work rate which helped the then Apex Challenger team reach a new level. The London Spitfire also have a further two members of their support staff, Danan Flanders who has been Cloud 9's general manager, will come over to support the running of the team and Seon-Woon "Claire" Jeon comes over to the Spitfire as the team manager. The Spitfire have twelve players that combined to make up their roster. With the ability to sub players in and out depending on the map and team composition they want to play this gives the Spitfire a number of different combinations to try. 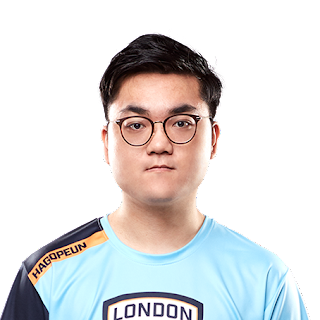 Here I'll provide an introduction to each of the Spitfire players in their chosen positions. 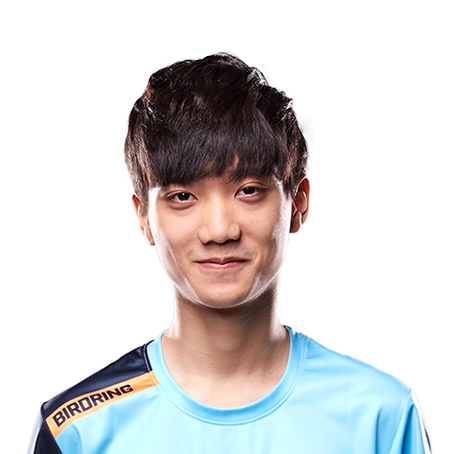 One half of Korea's dynamic DPS duo, Birdring is one of the best Tracer players in the world and has been touted by some as the best hitscan DPS player in the professional scene. With the potential to hard carry the team when they may not be firing on all cylinders, Birdring really started to shine when he was transferred from Kongdoo Uncia to Kongdoo Panthera to team up with Rascal. With the pressure of having to carry every game off his shoulders, Birdring became a beast and with a champion pool of Solider 76 and Widowmaker alongside his Tracer, Birdring is in a very nice place in the current meta. The other half of the dynamic duo, Rascal has both variety and depth when it comes to his champion pool and this allows Birdring to focus purely on hitscan champions. While Rascal has a preference to playing more projectile DPS champions such as Pharah and Genji, he is able to play hitscan DPS when required. 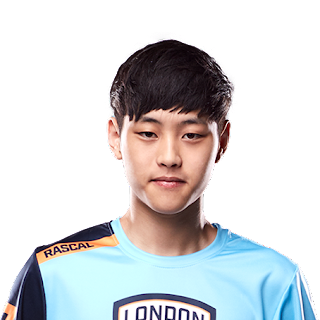 Out of the four DPS players the Spitfire have, Rascal is also more known to play a few more champions that are outside the meta, such as the Mei pick we saw in preseason and still be as much of a threat as Birdring and the others. While Hooreg isn't the flashiest DPS player at times, his importance to the team can't be stated enough. 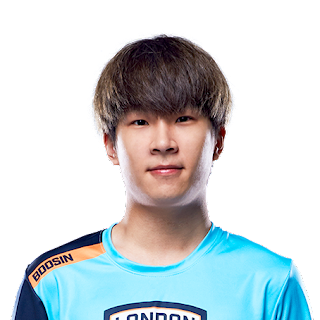 During GC Busan's recent APEX Season 4 championship win, Hooreg was able to adapt to the changes in meta with ease using ten different champions throughout the season and became a specialist with Doomfist during the recent dive meta. Hooreg is known for his long range hitscan on Solider 76 and his Doomfist and Widowmaker may both become an important champions in the current Mercy meta. It's this versatility that has allowed both Hooreg and his DPS partner Profit to become a superstar combination. 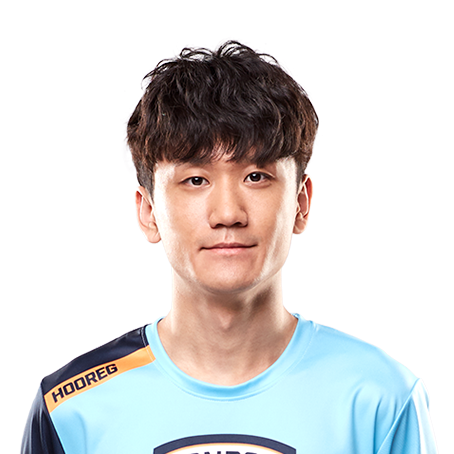 Joon-Yeong "Profit" Park exploded on to the professional scene alongside DPS partner Hooreg during Apex Season four. Profit's performance on Tracer last season was exceptional, to the point he was playing Tracer almost exclusively all season and is another player who is in the conversation as the best Tracer in the world. 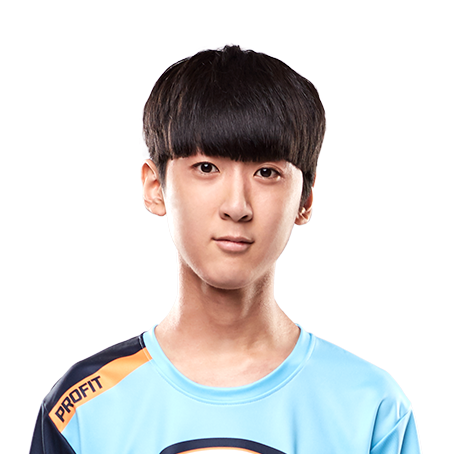 Profit can play both hitscan and projectile DPS champions and showed this when he played Zarya and then destroyed Runaway by playing Genji in the APEX Season four final, this was the first time he had played Genji in competitive play. In that final Profit had 84 kills to 46 deaths to leave a kill/death difference of +38 on his way to being named the APEX finals MVP. Profit is on my list of players to watch for stage one. 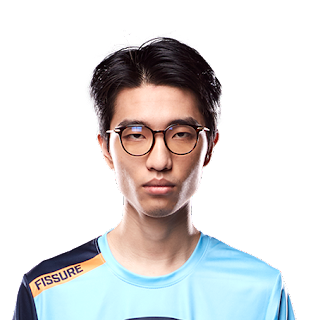 When it comes to main tanks, Fissure is is easily one of the best in the game if not the best right now. One of Fissure's main strengths is his constancy which has been on show since his outstanding performance in the finals of APEX Season three and the fact he's able to play all three of the main tanks in the game. His Winston is deemed the best in the game, he has a Reinhardt that opponents want to shut down early and has recently added a very good looking Orsia to his champion pool. Fissure has everything to be a threat in any meta. Gesture is the teams other main tank player and has a lot of potential to improve further in the future. During the Apex season four championship run, Gesture's Winston was impeccable and consistently made his way to the back line of Runaway, causing them all sorts of problems. Gesture does have some previous professional experience to hand as he played for Japanese League of Legends team's Rascal Jester and 7th Heaven under the ID of Corn. 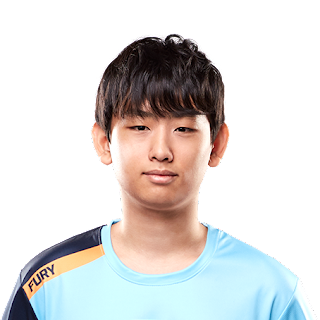 Out of all of the players for the London Spitfire, Jun-Ho "Fury" Kim is the only player to have played professional Overwatch in North America having played for Contenders Season Zero runners up Team Liquid. As a flex, Fury will mainly play off tank champions such as D'Va and Zarya, but is more than comfortable when the time comes to play either Junkrat or become a third DPS champion. When it comes to flex players, Woohyal is considered one of the best. With a preference to being more of an off tank player, his D'va is highly regarded as one of the best in the game, especially when it comes to the use of her Defence Matrix ability. 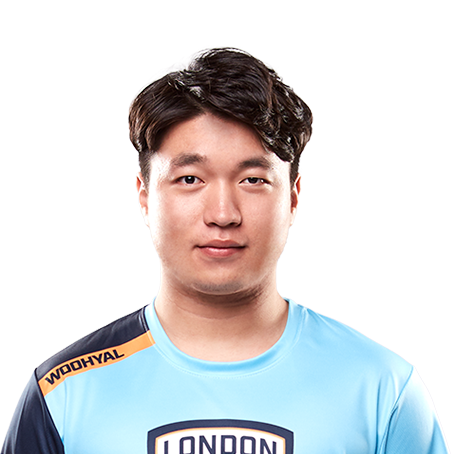 Woohyal is no on trick pony though, as he's developed a very nice Zarya and has a Roadhog that is up there with the best of them. One of Woohyal's key strengths is his team work, which is best shown with how well he and Gesture combined during APEX Season four when it came to working through the dive meta. When it comes to supports, HaGoPeun is most known for his tank busting style of Zenyatta than anything else. 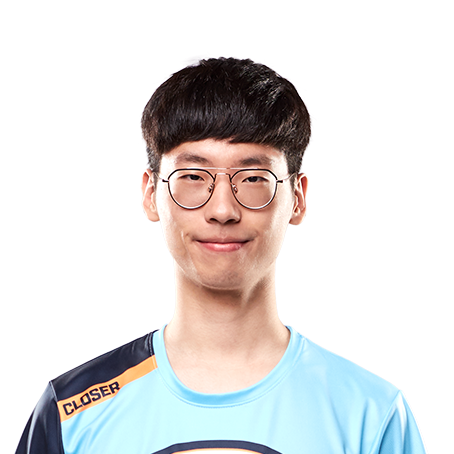 His aim is incredible to the point that he was able to one vs one dual the best Tracer's and Genji's that South Korea had during the recent dive meta on a regular basis. HaGoPeun is just as comfortable on Anna and is know for how well he positions to stay out of the enemies reach. He also has a pocket pick of Sombra when it's required on such maps as Anubis point B. Closer was GC Busans main shot caller when it came to crunch time and this is a role that I would likely expect him to continue from the support role. Although Closer prefers Lucio as his main champion, he also has a very good Mercy to fall back on when required. He showed his leadership skills when leading GC Busan from 2-1 down to winning the final against Runaway in Apex season four. When Lucio comes back into the meta, look out for Closer as he is likely to start to make some highlight plays. NUS has come over from Meta Anthena after being their main support and has a huge champion pool with Anna, Zenyatta and Mercy as his main champions but has the ability to play Sombra and Lucio as well. This allows NUS to be effective in any team composition or meta and use the high level of experience he has as he's been playing at the professional level since APEX season 1. NUS also has leadership benefit and provides the team as another shot caller when required. Bdosin is a Zenyatta main who is actually started his career in China for wNr.kr and became well known for an aggressive style of play that led to a high elimination rate for a support. Bdosin joined Kongdoo Panthera for APEX Season four and is able to play Anna and Mercy well. Bdosin's real strength is is communication with his fellow support player and the aggressive style helps draw attention away from them. 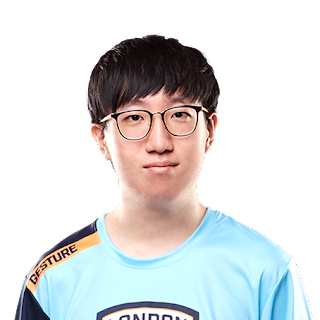 This is your 2017 London Spitfire for the inaugural season of the Overwatch League. A team that is highly rated and well positioned to make a run for both stage wins but the overall season title as well. I'm excited to see what performances they're able to produce once they've all grown accustom to one another and when they mix together as a team as the London Spitfire and not just Kongdoo Panthera and GC Busan.